We’ve all seen it in our offices, the little white bundle. 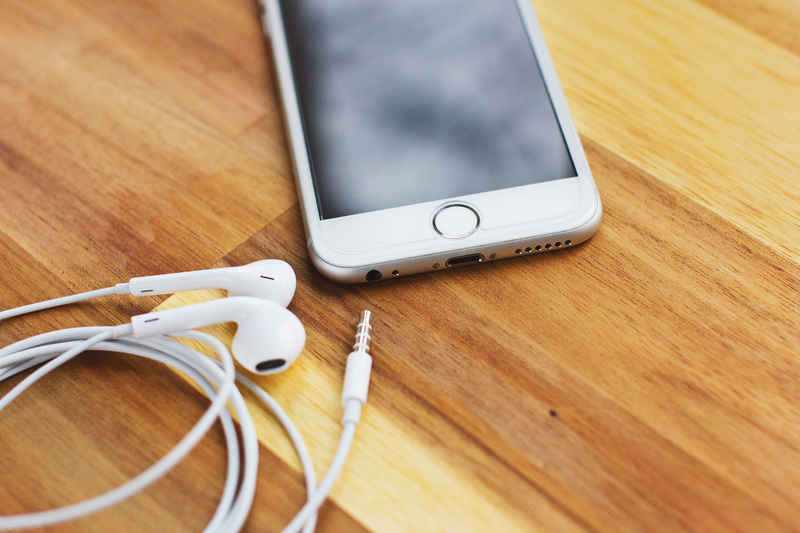 A remedy to the daily grind – 5pm comes a little quicker when listening to ones favourite tunes or podcast. They’re not noise cancelling, but with enough volume they can drown out the acoustic pollution in our shiny new open plan offices that are all the rage these days. And they came for free with our phone. They’re plugged into work laptops, because who wants to use their own data plans getting through the work day? And those Skype for Business project update meetings – they’ve got a microphone, so, win! Wait…what? Unfortunately, your customer is not sharing your same experience while you’re dialled into that project update meeting. However, they’re getting a taste of what working in your office might be like. At best, hearing your colleagues chat about the bender they had over the weekend might provide some light entertainment for an otherwise boring meeting. At worst, they might overhear what your colleague really thinks of them… But, probably more often, it will simply introduce unwanted noise into the call degrading the overall experience for the other participants. The problem is your Apple EarPods’ microphone (or any typical low cost consumer earphones) is not capable of filtering out speech background noise effectively. They are built to a price. They come with a single mic located within the in-line controls on the cord. The absence of additional microphones means it is unable to cancel out the speech it is picking up from the background and other noise. In comparison, headsets optimised for Unified Communications (UC) applications generally have multiple microphones, known as a “microphone array”. The headset feeds the inputs of the microphone array through a proprietary algorithm to optimise the signal of the wearer’s speech, while filtering out unwanted background noise. As a Skype for Business (SfB) consultant, I am familiar with this issue and have always advised my customers to ensure they deploy SfB certified headsets to users. However, I had never actually performed any controlled testing of the Apple EarPods versus a certified headset. To compare EarPods to a proper UC headset, I needed the ability at the far end to record the call. I also needed a source of background noise, some EarPods, and a SfB certified headset. The Voyager 8200 is a new premium Bluetooth wireless SfB certified headset from Plantronics. This isn’t intended to be a full review of this headset, however I would like to share my overall experience of the 8200 since I got it a few weeks ago. The issue some users have with UC headsets is most have a microphone boom, which isn’t what you want when you’re on the train into work. I certainly fall into this category and was excited when the 8200 came out because it meant I could have a single pair of headphones for both work and play. The battery life is pretty great. Plantronics quote 24 hours talk time / 20 hours listening time. I haven’t actually timed it, but would have no reason to doubt those claims in my own usage. The 8200s feature Active Noise Cancellation, adjustable between Off, Mid and High. ANC suppresses the noise around you, which helps a lot in noisy office environments as well as travelling. The ANC is not quite as effective as my Bose QC25s, but is pretty close. I’ve tested in the office, on the train, and a flight, and it worked very well in all scenarios. Whether taking calls or listening to music, sound is crisp and clear with strong but not overwhelming bass. I find them to be comfortable and wearing them for prolonged periods cause me no issue. There are other useful features. NFC pairing and the ability to connect to two devices simultaneously and take calls from either and sensors that allow you to auto-answer calls and play/pause music. All of this adds up to a headset that I can truly use in both my work and personal life, which until this point has not been something any other product has effectively achieved in my opinion. To perform the test, I dialled over the PSTN from my iPhone to my SfB desktop client and initiated recording on Audacity in WSAPI loopback mode. In this mode, Audacity will record whatever is playing back on the computer including the audio being heard in the SfB call. This link describes how to do this, it’s a pretty useful trick if you ever have the need to record exactly what is playing back on your computer. I have quite poor mobile reception at my house, so I use Wi-Fi calling on my Telstra plan to essentially make a VoIP call over my home broadband connection. If you have issues with mobile reception in your home its worth checking out if you have a supported carrier plan and handset. Just bear in mind roaming off Wi-Fi mid call doesn’t play nice, at least in my experience. With the call in progress, and being recorded, I started the news broadcast on the TV in my living room at the volume you would expect for a conversation happening within a few metres in the same office. I repeated the same test for the EarPods and the Voyager 8200. As expected, the Apple EarPods were unable to effectively cancel out the speech in the room. Much of the speech is unintelligible, however you can still make out certain parts. Mostly though, it makes what I’m saying less clear and overall not a pleasant experience. In comparison, the Voyager 8200 was able to effectively cancel out the majority of the background speech. Some short bursts slip through the algorithm, but overall you can hardly tell that another conversation is happening in the same room. You can check it out for yourself in the recordings below. Noise cancelling microphone technologies are important to ensure a good call experience for everyone on the call, particularly in noisy environments, which are becoming increasingly common with open plan offices. All it takes is one person to degrade the experience for others, and no one wants to be “that person”. The Plantronics Voyager 8200 used for testing is a premium product with many great features, which can effectively meet the needs of both work and personal life. Having said this, it is not cheap. Fortunately, there are many other UC optimised headsets with just as effective noise cancelling microphones at lower price points. If you’re currently using the earphones that came bundled with your mobile on calls and online meetings – I’d urge you to consider you’re investing in a quality UC headset. The up to date list of SfB Certified headsets and peripherals can be found here.